An adjustable bed, cot and chair specialist, Theraposture’s latest addition to its specialist rotating bed range, the Rotoflex 235 Plus, has won the first Excellence in Caring Award at the OT Show 2018. According to Theraposture, the Rotoflex 235 Plus excelled in all criteria and was strengthened by an end user testimonial which reaffirmed the care, financial and lifestyle benefits of the assistive product. Liam Braddell, Sales Director at Theraposture, commented: “We are delighted to have won this prestigious award as it officially recognises our Rotoflex as the considered choice. No other rotating bed system can deliver the same level of user support – resulting from a concept continually refined over a period of 20 years. “It is a quality, considerately designed specialist bed, backed-up by ethical and caring assessment-led service. By working so closely with Occupational Therapists since 1981, we are able to understand more deeply the challenges that clients face – hence enhancing and widening the bespoke Rotoflex range to meet individual needs more precisely. The Rotoflex range from Theraposture offers a powered, patented turning bed system, facilitating safe and stable transfers in and out of bed. Its ability to move and rotate from a recumbent to a fully upright seated position helps clients with neurological conditions, such as MS and Parkinson’s. 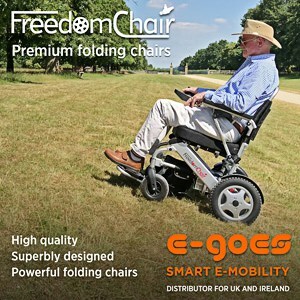 With its vertical lift in the seated position, controlled standing and seating is possible for those with balance and strength inconsistencies. The bed also removes the need for carer assistance, which offers significant cost saving opportunities, with Theraposture stating that the Rotoflex is proven to save up to £27,000 per year in carer costs and eliminates the need for relocation into a care home. Incorporating a streamlined and modular design, the Rotoflex 235 Plus also offers a rising heel support as standard and is ideally suited for users weighing up to 31 stone. In addition to award success at the OT Show, Theraposture said its exhibition stand generated positive results with high attendance levels, particularly in response to its on-stand educational seminars. Shaun Masters, OT and Trusted Assessor, hosted a series of sessions which provided awareness regarding safe bed transfers and specialist modular cots for children.